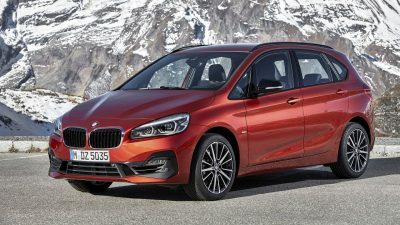 The BMW 2 Series vehicles are made up of three main types for 2019. 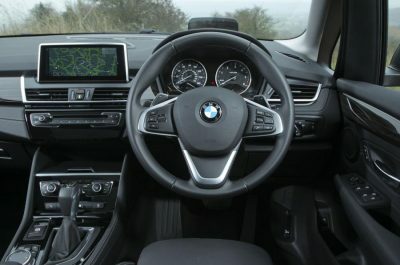 A brand new 2 Series from the ground up is expected in another two years or so, so it’s interesting to find the nice variety of models on sale with all their new additional infotainment technology, new safety and styling tweaks. I can totally understand that BMW fans everywhere were a little fearful that the 2 Series could end up as a front-wheel-drive only line-up. Certainly, all the BMW 1 Series models are FWD but, as it turns out, part of the 2 Series will go front-wheel drive, but it will just be the four-door model which is based on the UKL FWD architecture. This design is what you’ll find in the sharp little 1 Series as well as the 2 Series Tourer. 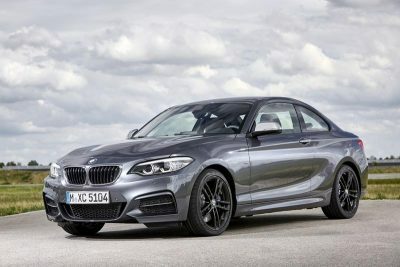 However, the two-door version of the 2 Series still rides on the familiar CLAR structural design that’s designed specifically as a front-engine with RWD configuration – which is also what the 3 Series and the Z4 use. If you like the current 2018 BMW 2 Series Convertible, you best be in quick to buy one as the next generation 2-Series won’t offer the convertible model at all. BMW will leave the open-top job to the brand new 2019 Z4. So what do 2019 BMW 2 Series buyers have to choose from in BMW Australia showrooms? The most dynamic drive is the classy little BMW 2 Series Coupe which combines its exciting two-door coupe lines with plenty of engine response and very grippy handling. The result is a hugely rewarding little coupe drive. Boasting that perfectly-balanced 50:50 weight distribution, the powerful BMW TwinPower Turbo engines and the intelligent BMW EfficientDynamics create a small coupe bursting with energy and control. The quickest M Sport model can see the 0-100 km/h completed in less than 5 seconds. Also available is the current BMW 2 Series Convertible. This is a really nice comfortable but compact open top motorcar. The car looks elegant, even with its relatively small dimensions – the car has a length of 4.5 metres. The Luxury Line, Sport Line and M Sport packages as well as a comprehensive range of Original BMW Accessories add further spice to this special cabriolet. 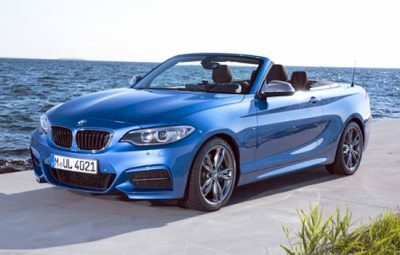 Like the Coupe, BMW offers the same powerful TwinPower Turbo performance in the 2 Series Convertible package. If you love the wind in your hair then this is the car for you. The BMW 2 Series Active Tourer is most certainly the model for those after the biggest space and functionality. If you have a small family then you’ll appreciate the space inside the cabin for both people and luggage. Up to seven people can be taken in comfort from places A-to-B. Adjustable seats front and rear, a luggage compartment with a folding floor and a seemingly endless number of stowage possibilities create a whole lot of room for a whole lot of functionality. It’s not always easy to make a functional vehicle look cool, but BMW has done a great job of making the 2 Series Active Tourer dynamic and soundly stylish to look at. Powerful 3-cylinder and 4-cylinder engines with BMW TwinPower Turbo technology, ensure that the Active Tourer can perform remarkably well when required. Being an MPV by nature, BMW went with FWD drivetrain for the 2 Series Active Tourer and the result is a nice blend of comfort and performance. Things like an optional adaptive suspension package is available for an even more sophisticated and comfortable BMW MPV ride. The clock keeps ticking, and as time goes by there are new advancements in technology which make cars better. The new 2019 BMW 2 Series line-up is freshened up with impressionable interior styling and trim. Smarter technology, a higher level of safety features and an overall higher level of sophistication gives the line-up plenty of potential buyer attraction. Head out on the road, and the drive should seal the deal. For any more information on the 2019 BMW 2 Series or, for that matter, any other new car, contact one of our friendly consultants on 1300 303 181. If you’d like some fleet discount pricing (yes even for private buyers! ), we can submit vehicle quote requests out to our national network of BMW dealers and come back with pricing within 24 hours. Private Fleet – car buying made easy!